We've been in this house for a barely a year already and the kitchen is only now starting to feel, uh, 'kitcheny' to me. Our 'new' kitchen needed some homemade touches to make it feel more homey I think. Sewn things especially. These have gotten a lot of use. I just adore them. 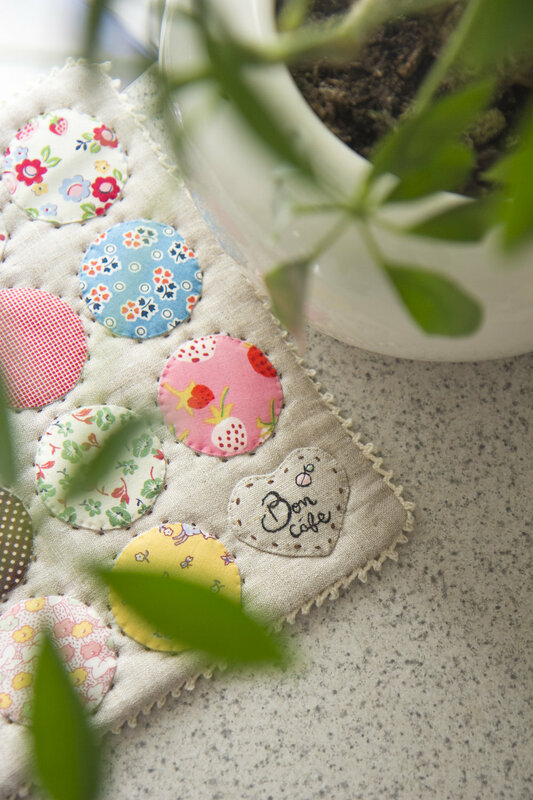 :heart: The pattern can be found in Ayumi's (of Pink Penguin) book Patchwork, Please! I sewed these together with my friend Yukino one weekend awhile back. 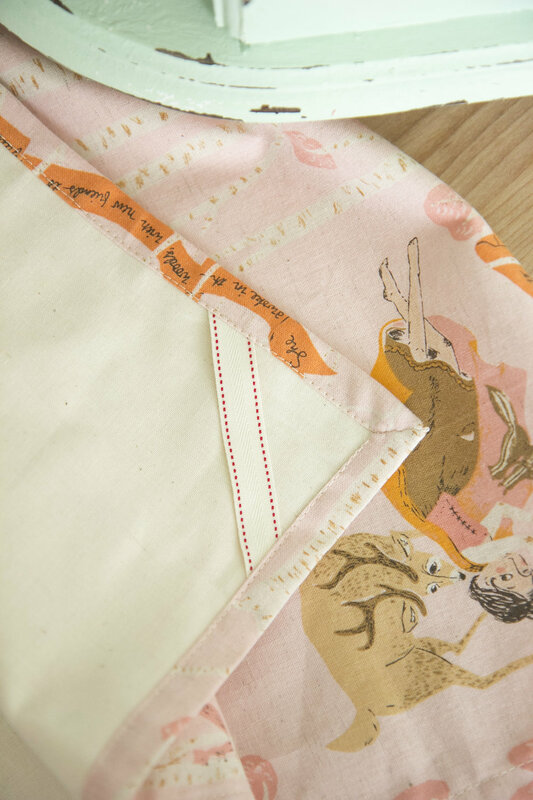 We printed the pattern onto tracing paper, which by the way is amazing to use when paper piecing by far! (I used my paper cutter to trim the tracing paper down to size to fit in my printer) Two things we did differently was to add loops to hang them up, and use single fold bias binding that way the the corners on our hexagons could be slightly rounded; we didn't have to do any folding on the corners, just ease it a little. 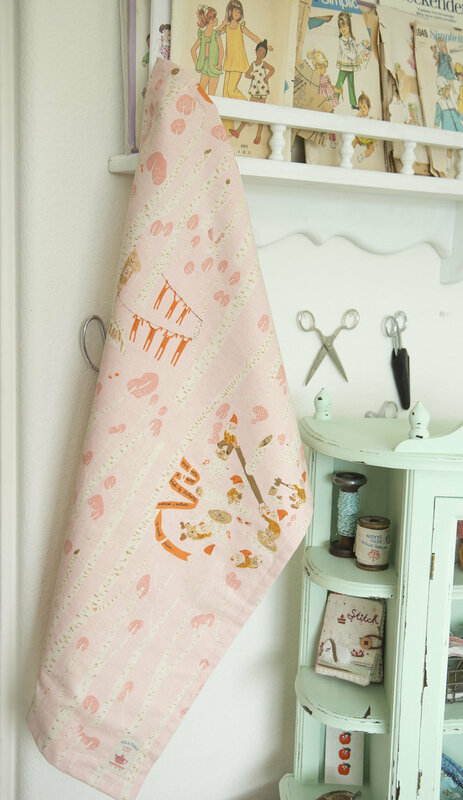 The next trivet pattern came from Amy's (of NanaCompany) brand new book Sweetly Stitched Handmades, too adorable! The book itself is not being released until May 2015, but I was a happy girl indeed when I was able to get a signed *squee! * advanced copy from her Etsy shop. (She's added some more recently, so there's still a chance to get a copy early!) It was really cute when it came in the mail because I got a packet of tea, some embroidery floss, plus the book itself was wrapped up in some wrapping paper. I sat away and sewed this trivet during the next couple of days after getting the book, and gleefully flipped through its pages again and again. I wished I had wider crochet trim, the trim I had was just barely able to fit, I had to scooch it over so it'd peek out on the edges more. That was my least favorite part, so next time: wider trim! An excuse to buy more trim? I did make two changes in this trivet as well. I changed the 'Bon cáfe' tag to a heart shape from the original rectangle and added more insulation. I already knew that my husband and kids would try and grab the trivet and use it as a hot pad and maybe burn themselves, so it gets double duty as a hot pad too. 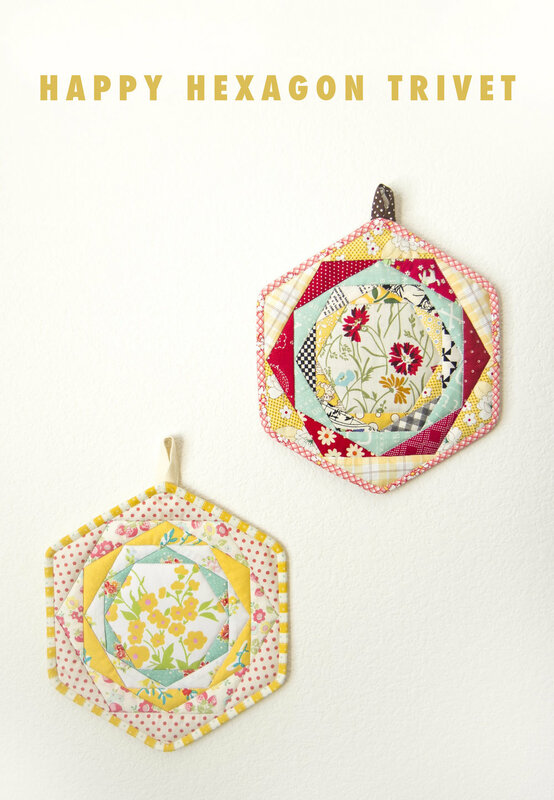 Same with the hexie trivets above, I thickened those up too. Finally, this dishtowel was made with some Heather Ross fabric I don't have a lot of, but love very much. My main thing was trying to figure out what project to use it in that included the whole motif, which is fairly large. A simple dishtowel it would become then! What's your favorite place to be in your home?